This past Wednesday, 10 May 2017 - only a day after Donald Trump fired FBI Director, James Comey - Russian Foreign Minister, Sergey Lavrov and Russian Ambassador, Sergey Kislyak visited with President Trump in the Oval Office. The video clip above was captured in the US State Department on that same day. Many people have noted and commented regarding Minister Lavrov's sarcastic quip - but almost no one saw what feelings he betrayed on his face just prior to his retort. 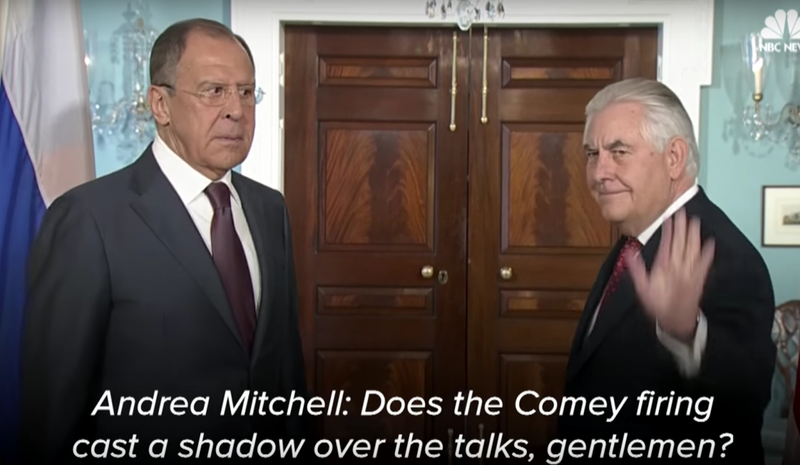 After Secretary Tillerson's Statement, Journalist Andrea Mitchell asks Minister Lavrov (beginning at 0:27), "Does the Comey firing cast a shadow over the talks, gentleman?" Minister Lavrov answers, "Was he fired? You're kidding? You're kidding?" 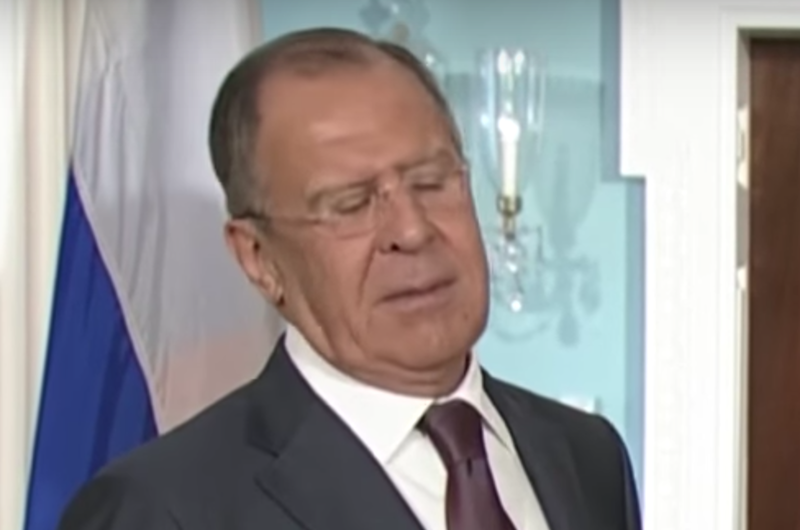 For a split-second, as Ms. Mitchell says, the word, "... talks ..." (0:30), the Russian Foreign Minister displays an excellent example of a what is known as a microexpression. This reaction is involuntary and subconsciously driven. Note that his eyelids open very widely - albeit extremely briefly. His mid-face also contracts - primarily in his "mustache area" as well as with flaring of his nostrils. Lavrov's mouth only moves a trace amount. Thus this particular Microexpression is that of Fear. Something Andrea Mitchell said triggered in Lavrov an evanescent emotion of fear. Watch this several times with a full screen and in slow motion. You'll also see his eyes, briefly looking forward, focus on the middle-distance, and rapidly fixate back-and-forth several times. This is an epiphenomenon of rapid cognitive and emotional processing when faced with something unexpected. This nonverbal dynamic is profoundly valuable in the negotiation, sales, and legal professions - for it's a signal of panic. And this is a textbook classic response. What happens next is also very telling - for in his recovery from fear, Minister Lavrov makes a very universal and very human mistake - he overcompensates. Closes his eyelids for a long duration. This action indicates a dismissive emotional tone, physiological blocking, and also acts as a contempt amplifier. Tilts his head quickly to the side - projecting dismissiveness (e.g., You are dismissed, this is beneath me, etc.). This emotion shares a large overlap with Contempt. 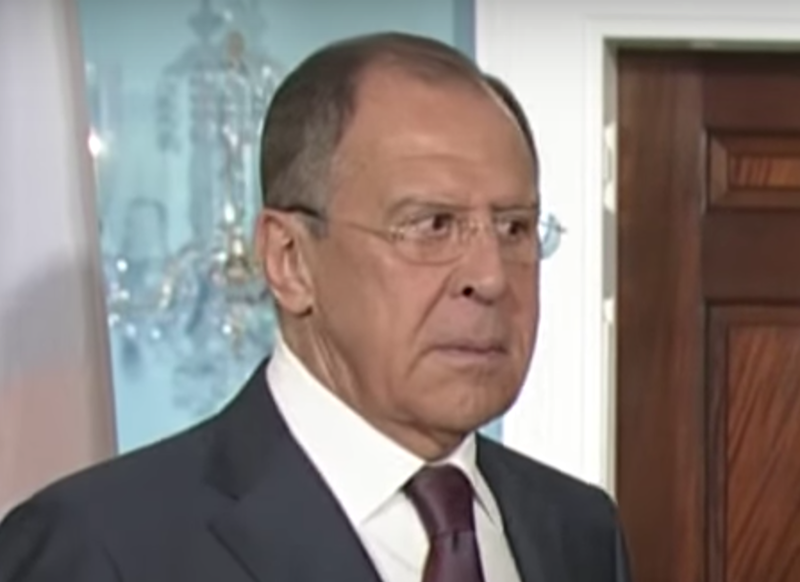 Sergey Lavrov was rattled by something in Andrea Mitchell's question. It's as if, for a moment, his psyche feared he had been caught (perhaps he even misunderstood something she said). Then he recovered - but in his defensiveness, Lavrov over-steered with his response. This nonverbal-verbal-paralanguage cluster display is absolutely classic for this behavior.